Welcome to AVWELLNESS. I have been transforming body, mind, and spirit and improving the overall health of others for over 15 years. My education and broad range of experience make my studio unique. Come enjoy a comfortable and private atmosphere, which makes getting fit a truly inspiring adventure. I offer a wide range of private and group classes, all professionally designed and led, that target your unique needs. You will not be lost in a crowd. My class sizes are limited and offered frequently, allowing me the time necessary to maximize results. I offer Group Fitness classes, Personal Training, & Nutrition Consulting. 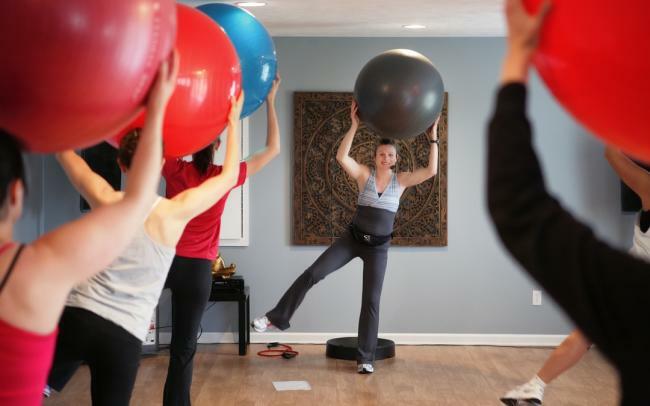 My group classes include Fitness Yoga, SPINNING, Kickboxing, and a specialty All-Ball-Core class. New classes are added frequently. AVWELLNESS features a complete wellness experience. However, I do not rely on equipment to make me a leader in fitness. I understand that knowledge and safety are essential to your success. My education and experience includes: BS in Corporate Fitness & Wellness, ACE Personal Trainer, ACE Group Fitness Instructor, NESTA Spencer Pilates, SPINNING, Aquatics, Yogafit, Lifestyle Management Nutrition Specialist, & AASDN Nutrition Consultant. I look forward to meeting you, and I am here to support you on your wellness journey.